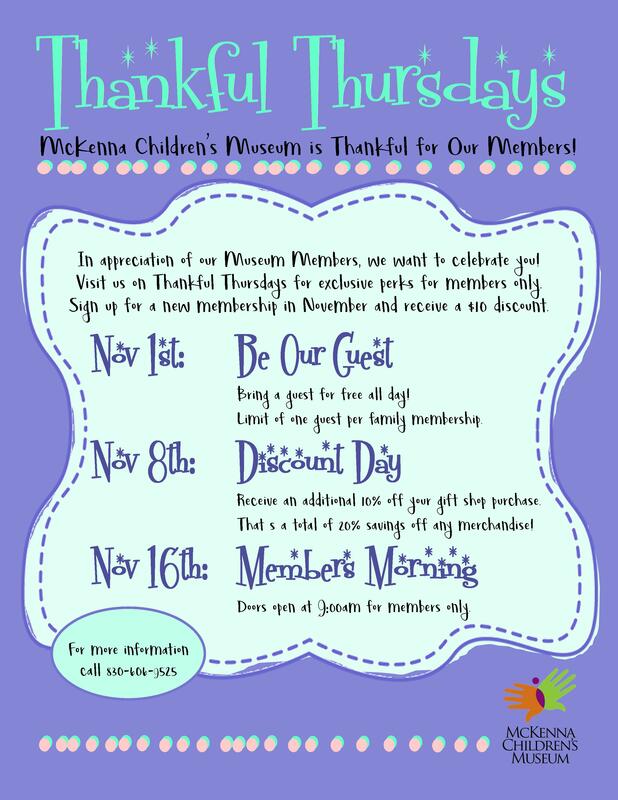 McKenna Children’s Museum is thankful for their members! In appreciation of their museum members, they want to celebrate you! Visit on Thankful Thursdays for exclusive perks for members only. Sign up for a new membership in November and receive a $10 discount. Nov 1st- Be Our guest. Bring a guest for free all day. Limit of one test per family membership. Nov 8th- Discount Day. Receive an additional 10% off your gift shop purchase. That’s a total of 20% savings off any merchandise! Nov 16th- Members Morning. Doors open at 9:00am for members only.